Break up the big ticket purchase into smaller easier payments and buy the mobile on EMI without a credit card. Now you don’t have to wait for that Diwali bonus as many lending companies have made great inroads in the consumer goods financing market space. The high-end mobile phone that once looked luxurious and out of reach, is today easily available by financing. Just pay a minimal down payment and pay the rest through EMIs. Most of the durable finance companies have their in-store representatives at mobile stores. By checking your credit history online they are able to gauge whether to issue the loan or not. You can get your favorite mobile phone within 30 minutes flat and get out of the store. The financing company will just require your PAN card, address proof, and salary slip (if you are working as an employee). If you are a businessman or self-employed then you would need Income Tax returns instead of salary slip. Most of the consumer loan financing companies don’t charge you for early foreclosures. Hence, if you have extra cash available then you can pay prematurely without incurring any penalty. One of the biggest benefits of buying your mobile on EMI is that you have vast flexibility options while repaying. Most of the companies provide you the option to pay in EMIs of 3, 6, 9, 12, 18 or 24 months. Which avenues allow you to buy mobile on EMI without a credit card? EMI card is a mechanism whereby you are given a pre-approved loan. When you buy a product it’s converted into easy EMIs. Some of the leading NBFCs dealing in consumer durable goods or electrical appliances provide this type of facility. If you walk in a store and you like a phone, but you don’t have enough cash, what can be done? Here’s a quick fix. Just tell the salesperson on the counter that you require a loan on that phone. He will arrange it with minimal documentation. You can work walk out with your favorite phone within 30 minutes. The availability of affordable internet has led to millions of new internet users into the arena. To fulfill every consumer’s needs including easy lending, dozens of startups have arrived. 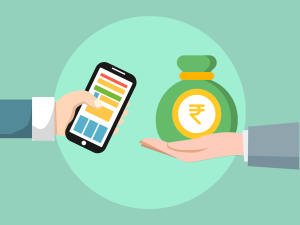 Taking advantage of the advancement in technology, competent startups have started advancing loans on many types of consumer durables, including mobiles and laptops. Taking advantage of government’s Aadhaar platform, lenders have started providing loans through eKYC. Some of the major banks like HDFC, ICICI, and Axis Bank have started providing EMIs on their debit cards. You just have to visit the bank’s partner outlet and check with them about this offer. If they are running the offer, then you can just buy the phone with a single swipe. You can pay the balance in easy EMIs with an installment duration of your choice. In today’s age of diverse financial products from multiple banks and superior technology penetration, it has become much easier to buy a mobile phone on EMI without a credit card. This is in stark contrast to some years back when the idea was not even in existence.